Field work can be exhilarating, exhausting and exciting. It can also be fraught with issues. 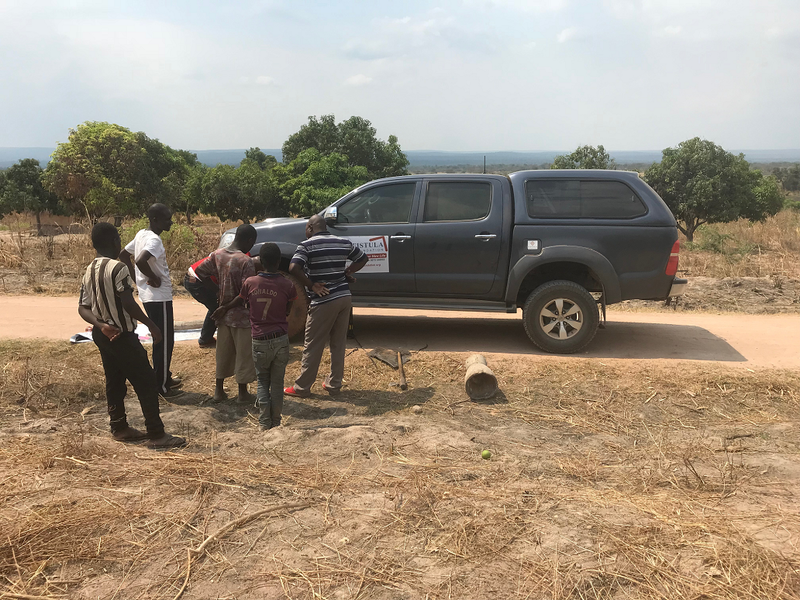 During our recent outing from Nchelenge to Lambwe Chomba for a community gathering, we started off at 7:30 a.m. and planned for it to take four hours of travel time. The first hour I did fine, but by hour two I was feeling very ill. I was hot, queasy and doing everything I could to stay put together during the bumpy ride on a dirt road. 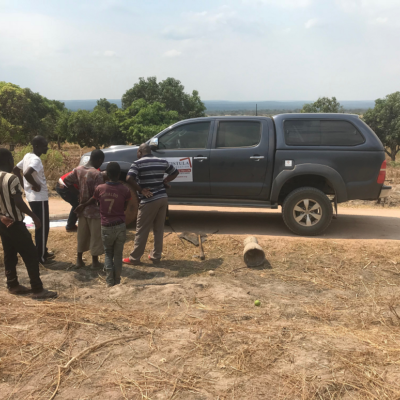 We – Zambia Program Manager Bwalya Chomba, driver Victor Chibale, and Luapula Program Officer Kalumba Kaputa – stopped and got water and I cranked the air conditioning up. Luckily, Bwalya had some medication I could take, which ended up helping. But 10 minutes before we reached our destination, we hit another snafu: one of our tires was punctured. We luckily were able to put on a replacement and get it mended but it reminded me of everything that can happen with field work. En route to Lambwe Chomba, an unexpected surprise: a punctured tire. Once we finally made it to our destination, the event did not disappoint. 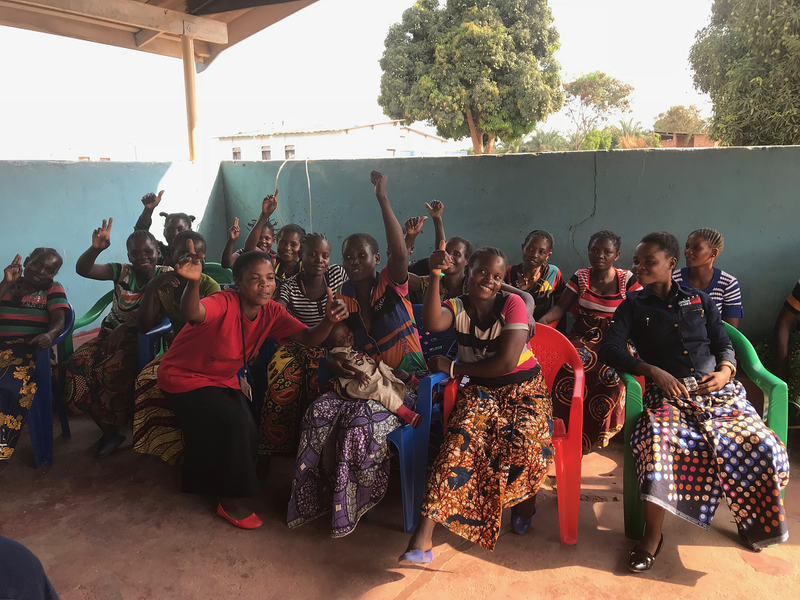 Lambwe Chomba put together a program celebrating about 20 fistula survivors. I got to speak with them as well as village headmen and community members. The women even showed off their dancing skills to show how happy they are that they are dry! Celebrating fistula survivors at a community education event in Lambwe Chomba. Another drama performance was arranged for the community that showcased what happens when one goes to a witch doctor with fistula verses a trained medical professional. Plays and other dramatic performances are often used as tools to educate communities about obstetric fistula, as with this performance in Lambwe Chomba, Zambia. The next day we went to Lunchinda Rural Health Center in Chiengi, where we met several survivors of fistula. Twenty-six-year-old Maggie Mapemba recalled the constant changing of cloth while she suffered from fistula. Rose Chanda, meanwhile, told me she still dances to celebrate getting healed. Lunchinda Rural Health Center, in Chiengi. 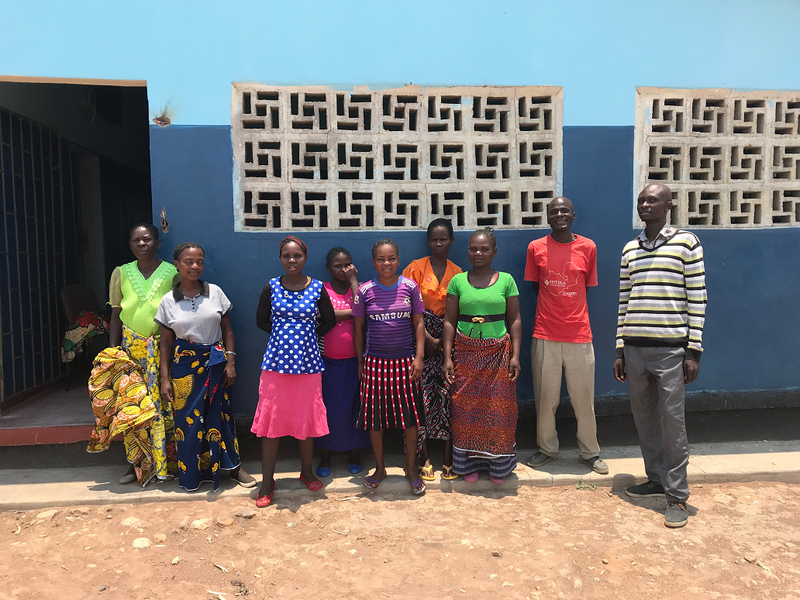 Both stories highlighted the issues that come with fistula and what can happen when life-altering surgery takes place.